In September 1920, a number of Coatesville residents got together to discuss the cost of establishing a country club: $30,000 to buy suitable farmland, $40,000 to build the eighteen, $30,000-40,000 to put up a clubhouse. It was a lot of money, but times were good, with Midvale Steel and Lukens Steel employing 10,000 and operating at capacity night and day. One month later, the bottom fell out of the steel business, and six months later the mills were shut down tight. 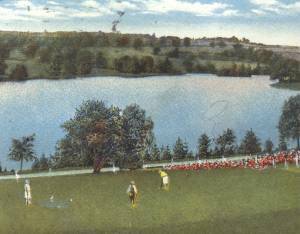 City Council agreed that it would be beneficial to have the Coatesville Country Club course overlooking the reservoir. This should have sounded the death knell of the budding Coatesville Country Club, but it didn’t. A handful of men refused to quit. Chief among them was William W. Long, who thought that if the costs could be scaled back to a fraction of the original projections/ the undertaking was still feasible. 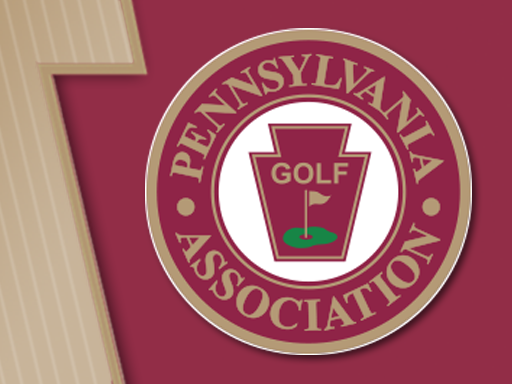 In an article entitled "Building and Maintaining an 18-Hole Golf Course on Moderate Membership Fees Alone and Keeping Out of Debt" which was published in the USGA’s Greens Section Bulletin, Aug. 15, 1922, Long described the formation of the Coatesville Country Club and the construction of its course. Despite the dark economic outlook, there were still a number of golfers and would-be golfers willing to put up $100 each toward building a course. "To interest them," wrote Long, "some rash promises were made. These promises included a temporary course of five or six holes ... by May 1,1921. A completed nine-hole course was promised them by Sept. 1. Approximately $4,000 was raised in a few days as a starter .... [Long] knew he could turn over a lot of dirt with that amount of money, but it was not enough even to look at a suitable farm, let alone buy one; so [he] decided the best thing to do was to steal a farm . . . ."
Coatesville’s water came from a reservoir in a valley two and a half miles northwest of the city. Adjacent to this body of water was a tract of 135 acres that the city had purchased to protect its watershed. Farming this land had so far proved unprofitable; moreover, it had, in literal truth, inclined to muddy the water. Long, who was "mixed up in politics a bit," showed City Council how beneficial it would be to have the reservoir "surrounded by fairways and greens of velvety grass." He negotiated a rental fee of $500 per year, and "then clinched the deal by having the lease made for 60 years." With the land came a large farm house, which could serve nicely as the clubhouse. The resourceful Mr. Long had come up with answers to two of the three needs. In mid-February 1921, a meeting of the membership (there were now 117 on the rolls) elected an 11-person board of directors: H.A. Beale (within months to be named president), Guyon Miller, A.F. Huston, H.B. Spackman, G. Donald Spackman, M.W. Pownall, John Humpton, Ellis B. Ridgway, Dr. H.S. Scott, Ralph Landis, and John Durham. Curiously, William Long was not elected a director until six months later, on Aug. 10. Now came the task of fashioning golf holes. Alex Findlay agreed "to locate the first nine holes" without charge. However, "when he was about to purchase seed," wrote Long, "to the amount of $3,000 and was getting ready to send a golf architect at $50 a day, he was thanked for what he had already done but told that the club could not stand for any fancy stuff." The club would handle it from there. Mindful of the vow to members that they would be playing golf on a real nine by Sept. 1, the construction was. Long tells us, "a hurry-up job; but nine fairways were plowed, harrowed, and seeded, and nine greens were built and sowed to grass in a little more than two months’ time. The cost of seed was less than $1,000 and the cost of construction less than $2,000. In the meantime the temporary course of five holes had been laid out in a twenty-acre meadow, and members were kept interested while the grass was growing on the new course. The temporary course was so badly crowded and the fairways naturally had to be so close together that play thereon was as dangerous as ’going over the top’ in the recent War, but it all added zest and enthusiasm to the club." On Aug. 6, more than three weeks ahead of the date promised, Coatesville Country Club opened its first nine holes. Leading the field off the first tee were Dr. Edward Martin, Pennsylvania’s Commissioner of Health, and Richard J. Baldwin, the state’s Speaker of the House of Representatives and chairman of the greens committee at Springhaven. Next came a foursome of local professionals, and then. Long writes, "... the amateurs and the dubs, to the number of sixty and more. The course was used incessantly until the middle of December, while thereafter temporary greens were used all winter." That fall, within a few months of the grand opening, work got underway on the second nine, which was laid out by Cyril Hughes, of Cheshire, England, and which, at 3,139 yards, was 70 yards longer than the original nine. The ground was plowed and permitted to lie fallow until spring. Mushroom soil (and why not, within hailing distance of "the mushroom capital of the world"?) and sand were used to top-dress the new greens. A rainy summer was a godsend. The total cost for fairways, greens, and tees was $4,629.86. Writes Long: "Neighboring farmers, realizing a country club would increase the value of surrounding property, donated considerable work .... I had the big steel companies [back in operation now] haul all our fertilizer, mushroom soil, manure, etc., for nothing; had them make us tee benches and sand boxes, and give us practically all our tools except mowers; they do all our repair work for nothing, and this helps a lot. "In addition to building the eighteen, we have remodeled the farm house into a most beautiful clubhouse, attractively furnished . Our success has been due to the determination to keep out of debt at all times, to make one dollar do the work of five, wherever possible, and to do nothing whatsoever in connection with the greens or fairways except strictly on the advice of the Greens Section of the United States Golf Association." There was, of course, one other key element in the early success of Coatesville Country Club: the dedication of the intelligent and entrepreneurial and indefatigable William W. Long.